Nationwide Recovery Center provides one on one addiction evaluation, planning and counseling and treatment services, each tailored to fit each client’s needs and requirements. Life goals and motivational skills are, again, geared to each specific client. Nationwide Recovery Center (NRC) is the preeminent life coaching company in Southern California. NRC, headed by renowned Barry Yamron, a well recognized and leader in the field of life coaching and substance abuse services provides his clients with cutting edge and no nonsense advice and consultation to those who are having issues with balancing their private and professional lives and with an emphasis on substance addiction. Mr. Yamron and his staff of experts is committed to rendering consultation services, personal and business financial training, and individual addiction mentoring services designed specifically for the needs of each client. NRC works to understand a client’s financial situation, as well as their need for financial stability. Finance, professional and personal aspects on one’s life can be complicated with addiction disorders. Need to talk about life coaching and motivational interviewing. Please call at 424-262-2492 to get started! 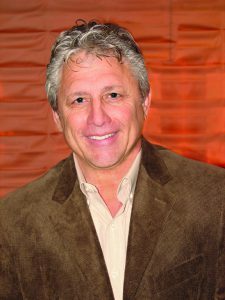 Barry Yamron is a successful entrepreneur, marketing and public relations executive and philanthropist. He possesses an intense passion and positive track record for helping individuals succeed in life and business and for giving back to the community. Mr. Yamron serves as the CEO of Nationwide Recovery Center (NRC), a well-known and respected firm dedicated to successfully helping its varied clients achieve a balance between their personal and professional lives through intense life coaching. Success and serenity at home and in the office is the hallmark and goal of NRC’s services and counseling. Mr. Yamron has a well-deserved reputation as a problem solver and a “man who knows how to make money.” This is most easily illustrated by the multimillion dollar asset recovery firm, which he created in 1974 and is still a successful ongoing venture to this day. He has also accumulated a significant portfolio of expertise, licenses and certifications. He holds a Certificate of Professional Life Coaching from the prestigious Life Coaching Institute of America and has completed certificate-level course work at Pierce College in addiction studies and domestic violence. Mr. Yamron is a licensed Private Investigator with the Bureau of Security and Investigative services since 1981, an occupational license holder with the Department of Real Estate, as well as being bonded and ensured as a Vehicle Occupational Dealer by the California Department of Motor Vehicles. When Mr. Yamron is not driving for success in the business world, he mentors troubled teens, and is pursuing a degree in “addiction studies” in order to further enhance his ability to help others. A lifetime California resident and a family man, Mr. Yamron is the proud father of 4, as well as a grandfather of 3. In addition to his prolific volunteer and philanthropic work, he enjoys collecting classic cars. Let Barry’s 45 years of success and experience be your guide to a better financial future!